We build electric cars to solve the air pollution problem and reduce CO2 emission, vehicles are able to safely move on roads without a driver, but is it really the way we should be using the technology we have today? Saying this Dave has changed slide to show how people use teleport in Star Trek… By the way, did you know that it is legal requirement still to have human driver inside the vehicle to take over control if necessary? Well having this contrast I started to ask myself, if we really have technology in place to do better today? Are we blocked by our imagination already? Is IoT the technology serving as a bridge to unblock our imagination? Gartners’ research shows that the Internet of Things (IoT) will support total services spending of $235 billion in 2016, up 22 percent from 2015. This rapid growth is possible due to cloud solutions, as we can relatively easy and at reasonable price store large volumes of data, and analyse them, not having to pay for our own infrastructure. Big players have come up already with products related to IoT, supporting its implementation. I would like to focus on Microsoft Azure IoT Suite. First what I have observed is that Microsoft has changed. They started to notice other protocols, operating systems, they are delivering open source code. This change was mandatory, as the solution needs to be open for all the devices, otherwise it wouldn’t be possible to implement broad solutions. At the end of the day, data and its reliability is an essence in performing analysis and taking decisions. The concept (or architecture) is relatively simple. Devices are sending data directly, or through gateways, to the cloud connecting with IoT Hub. Devices are registered and data are secured. Upon filtering on events defined actions are taken, on UI we can see real-time data and take decisions. There is a loopback to device possible through IoT Hub (in example to reduce/increase speed of rotation of the asset). If we want to analyse the data and play with building data models and predictive maintenance – data are pushed through Stream Analytics or similar tools, once patterns are defined and recognized, we can act before damage occur. Predictive maintenance – basing on large stream of data from dozens of devices we can build data models and predict assets behaviour (malfunction, unusual operation condition). You can see some good examples here. As you can see there are a lot of opportunites on every layer of the architecture. For device manufacturers to build sensors and devices capable of easy connection to the Microsoft IoT Hub, for Network gateways providers to collect information from specific sensors locally and transfer data to the Microsoft IoT Hub, for System Integrators to put all the pieces together and also for Software development to provide nice and bespoke visualisation and control panels to manage the whole system or process end-to-end). What roles are in essence? Well I believe that apart of hardware and network protocol specialists (as the devices have to consume almost no power, and transmit reliably data), there is a lot of space for System Architects and Business Analysts to design the business case and the process itself, and what is most important (I think) Data Scientists, that will build data models used in prediction. Only then we can automate actions, see into the future of our assets and make sure we act before our clients are affected by asset malfunction. There is a forecast that the growth of IoT will be fastest in natural resources, utilities, transportation and insurance. 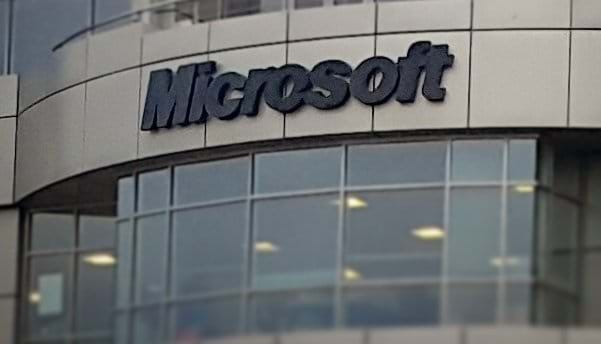 Microsoft will focus on manufacturing, public sector, retail and health. I am still looking for opportunities there, potential business cases, that could inspire all of us to make our life easier. An interesting example has been given by Duncan Macmillan from Berendsen. They are using RFID chips on the linen to identify where the asset has been sent to, and when and from where it has been returned. Also they are able to count number of machine washes per linen and make sure it survives declared by manufacturer number of washes before it is useless. Imagine amount of data needed for such operation – it is possible and cost effective only using cloud, and Microsoft IoT Suite seems to be the right answer. Do you see the Things to a new world? Are we able to think out-of-the-box and use technology right? Are we able to find use-cases helping all of us using technology we have available? I believe that now we have tools available to build Incredible Things, Internet of Things, Internet of Our Things. I would like to thank Microsoft IoT Team in UK for inspiring day. How to improve the front-end work in ASP.NET using Gulp?